Musings on GURPS, the RPG hobby, and assorted Geekery. My favorites by far are Role-Playing Games (RPGs), particularly GURPS (my go-to system since about 1993), to which I devote an enormous chunk of my waking hours. I think my eulogy for Gary Gygax explains my love affair with RPGs best. I also love board games, card games, dice games, and video games…when I can fit them in. When I’m not playing an RPG, I’m often working on my next RPG, or reading blogs and forums about RPGs, or listening to podcasts about RPGs, or — well, you get the picture. This blog is here as a space for me to muse about things of interest to fellow gamers: reviews of products, convention recaps, rules discussion, interesting scenario ideas, tips for GM prep, and other assorted game geekery. 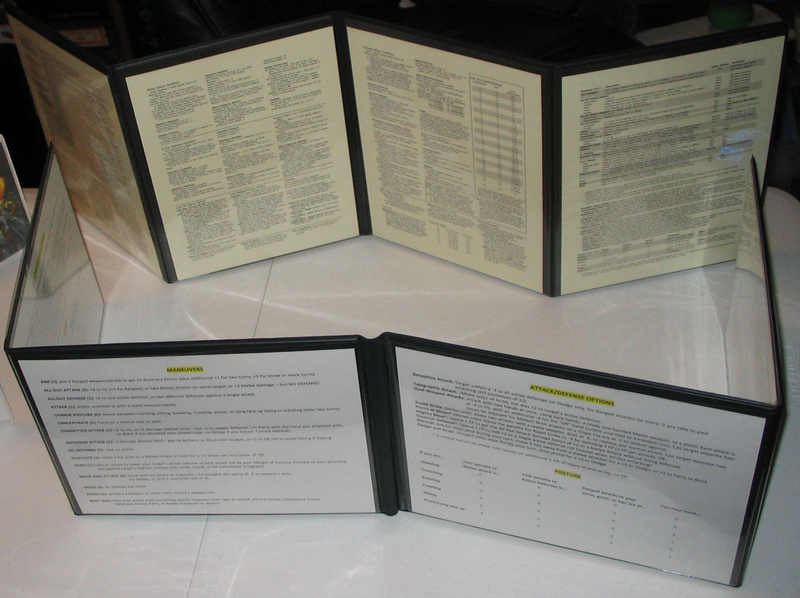 Some of the older RPG resources here are still on the original site, including the ever-popular examples of GURPS 4th Edition combat and notes on some of my past campaigns and convention one-shots (all of which is slowly being migrated into the current blog format). If you have any questions, comments, or suggestions, I’d love to hear from you! I am Mook. This is my website. 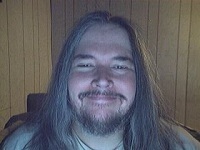 I don’t always look like that, but I like this picture because I look really happy. Usually, I don’t have a beard, and about three years ago I finally cut my hair down to a buzzcut… after more than 17 years without a haircut. I love to write, but I don’t do it enough. I often write about wanting to write more. I love to play all kinds of games — video games, board games, card games, but especially tabletop role-playing games (RPGs). I started playing Dungeons & Dragons in 1983, then played every RPG I could get my hands on (a few favorites: Top Secret, Villains & Vigilantes, Star Frontiers, Paranoia). In 1993, I started running games with GURPS and haven’t run anything else since then (though as a player I’ll try anything). I also love books, movies, television, comics, and basically anything with characters and a story. My tastes are omnivorous. I can actually tell the good from the bad, I just don’t usually care. The unprecedented explosion of technology in my lifetime, especially the rise of computers and the internet, makes me squeal with endless delight. This website, TheMook.Net, has been online without interruption since at least September, 1998. It is my own personal slice of the world wide web, a place to create whatever I want, whenever I feel like it. I like having a tiny virtual space all my own. When I first started this site I taught myself HTML. A few years later, I did the same with PHP — at least enough to know what to copy and paste, and how to tweak things to my liking. Nowadays I try to use WordPress for everything, but occasionally I still code some things by hand, in Notepad++. For more than a decade, TheMook.Net has been hosted by EsoSoft – they have been an absolute pleasure to work with, and their customer service is phenomenal. I cannot recommend them enough if you are looking for site hosting. 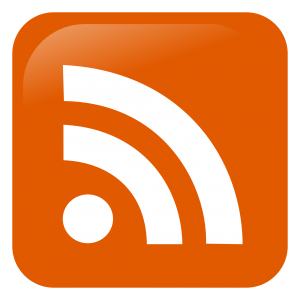 The blog runs on WordPress, easily the best blogging platform I’ve ever used. I am incredibly easy to find online — should you want to get in touch, just check the Contact page. As a final note, one of my favorite parts of the site are the quotes I have assembled from far and wide that cycle randomly with every page load (under “Random Quote,” at the bottom of the right sidebar), provided for your edification and amusement. Wear your learning, like your watch, in a private pocket, and do not pull it out and strike it merely to show you have one. If you are asked what o'clock it is, tell it, but do not proclaim it hourly and unasked, like the watchman. 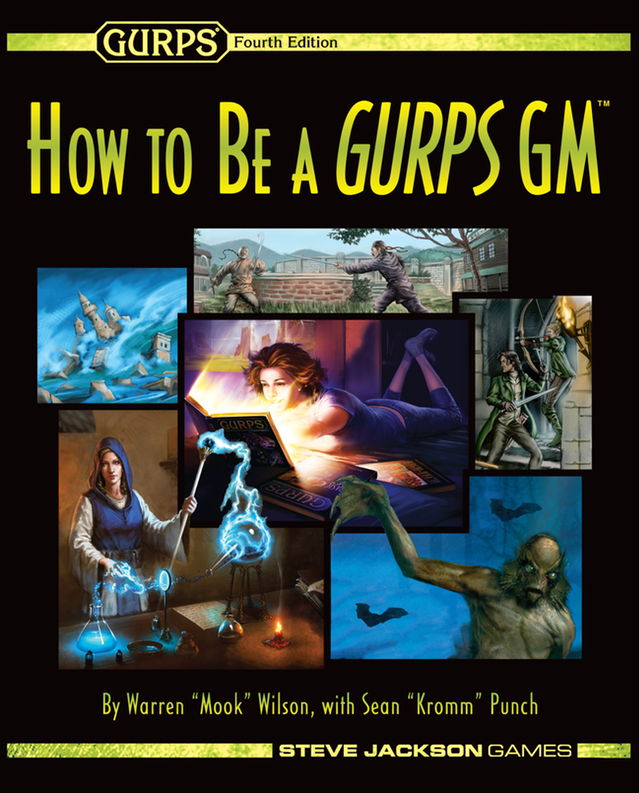 New to GURPS – Welcome!